For this unique occasion for Polo for Heart, a charity event supporting Heart & Stroke Foundation, I arrived early in the morning when the gates opened at the Toronto Polo Club in Richmond Hill. With the rows of billboards lining the side of the road heading in, it was evident that this was going to be a special experience kicking off the first of 3 days of the annual Polo for Heart charity event. The boutique pop-up shops were a unique sight to see including the beautiful, decorated ascot hats for sale, perfect for the fancy occasion of watching polo. There was also art for sale, a Lion’s Club BBQ, and a kids play area. I headed over to the other side of the large polo field by walking across the big field (although shuttle service is available) to get to the Ritz Carlton Polo pavilion tent where there were many amazing items up for silent auction (including a table for 10 for next year’s Polo for Heart) as well as all the dining tables and bars. There was also an Upper Canada Mall photo booth with a chance to win a Michael Kors purse. The rules of polo were explained to all guests, so it was a really accessible introductory event even for those who know nothing about the sport. The opening ceremonies started off with the parade of polo players trotting in on their horses escorted by many well-trained hound dogs from the Eglinton Hunt Club. It was quite the fanfare. Then it was time to start the polo match. It was a friendly demonstration rather than competitive for everyone’s safety due to the rain the night prior making the grass damp in some areas. It’s quite a spectacle to take it all in while enjoying the lunch buffet. During halftime there was the traditional divot stomp where spectators gathered onto the field with a glass of bubbly while flipping over divots to help cover up the holes in the grass. However, because of the rain there weren’t many divots to flip over. But it was still fun to all gather and clink the glassware (plastic for safety, of course) with everyone on the field. 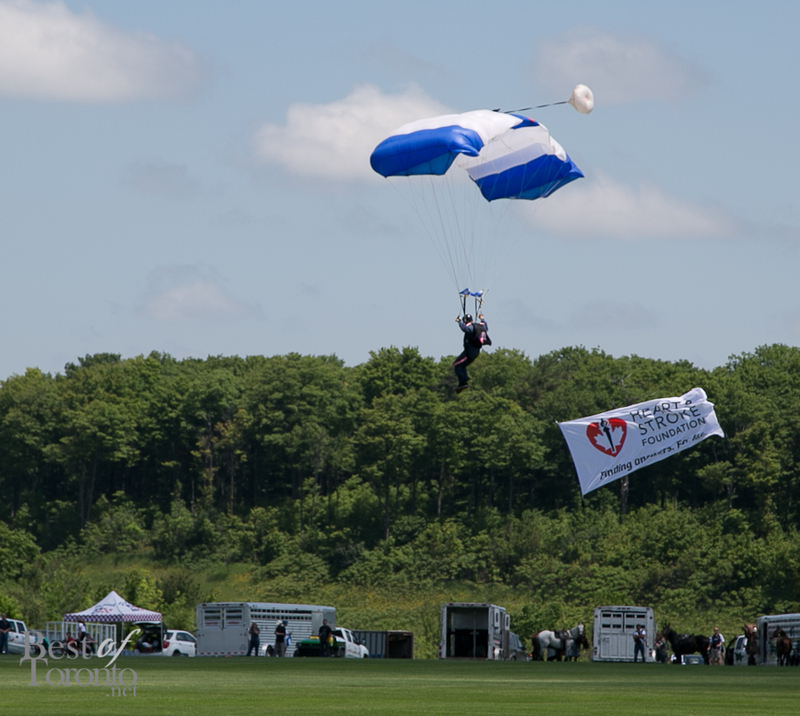 This was followed by skydivers who landed on to the polo field with a Canadian flag and Heart & Stroke Foundation banner. The fashion show featured outfits from Upper Canada Mall retail stores. It may surprise some Torontonians that this destination mall in Newmarket has well-known retailers such as Target, Apple, The Bay, Victoria’s Secret, Sephora, Brandy Melville (coming soon) and more. 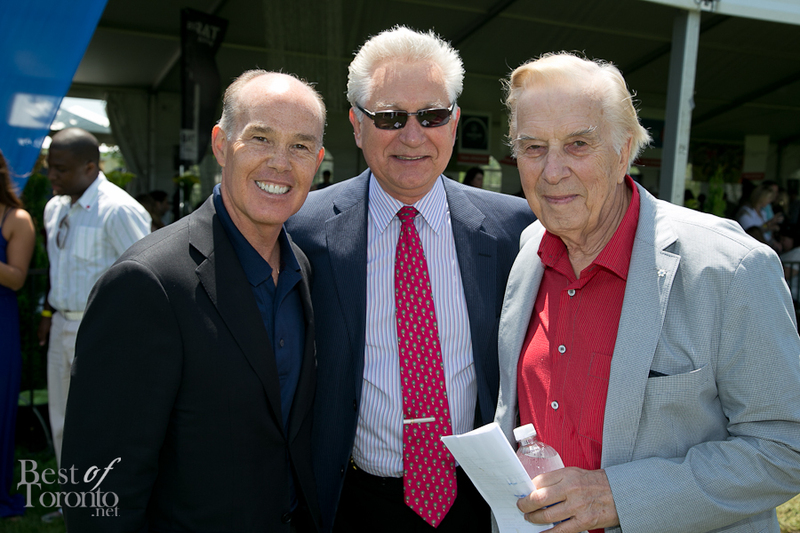 Basically there were so many activities going on at Polo for Heart that the day seemed to go by instantly. It was just that much fun and a day that I’ll never forget. Special thanks to Idea Workshop and Upper Canada Mall for inviting Tanya from FashionEcstasy and myself out for this exclusive opportunity to discover this great event. 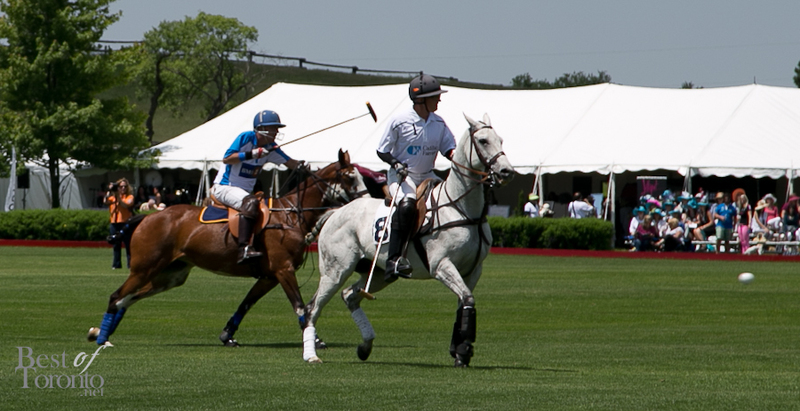 Polo for Heart is definitely a must-attend experience! It’s a memorable gift idea for Father’s Day. Also, the Toronto Polo Club has team-building programs for organizations who are looking for a special team-building experience. Check out CTV’s Lloyd Robertson’s video from last year talking speaking about Polo for Heart and the Heart & Stroke Foundation. For over 34 years, Polo for Heart has brought players from around the world to The Gormley Polo Centre in Richmond Hill to participate in the world’s oldest team sport. You can witness the power and the passion of polo at this 3-day event featuring two international polo matches each day. 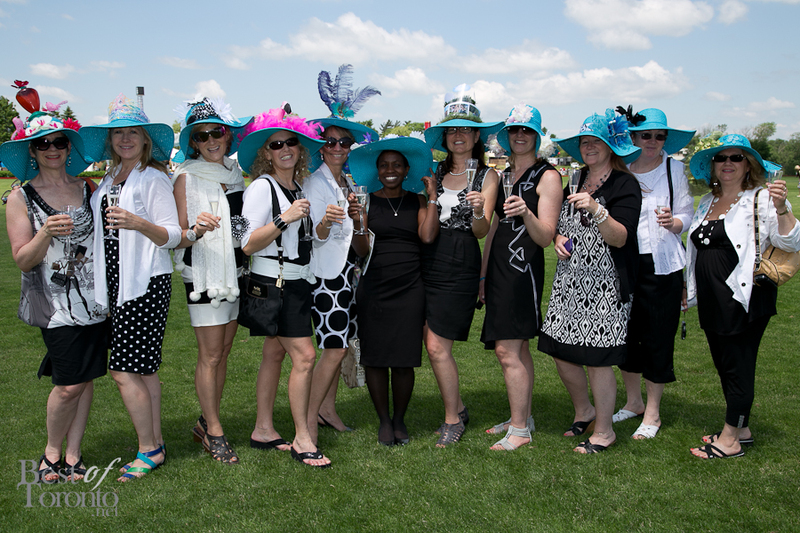 Your day in the country will be as equally exciting for what takes place off the polo field – boutiques, silent auction; half time entertainment, the traditional champagne divot stomp; children’s village and the perfect polo picnic and best hat contests.